My fiance and I set a budget of how much we were spending on each other this year but he ended up surprising me with a lovely DKNY bag on top of what he bought me from the budget. This was such a great surprise and I love the bag so much. I'm loving the giant Lindor ball I got off my brother too as I've been eyeing these up in the shops! This was another lovely treat off my brother which I'm very pleased about. I've mentioned on my blog before that I love the pump style body washes by Soap & Glory so I'm glad there is one in this set. I've never tried Pulp Friction or Butter Yourself so I'm really looking forward to trying those. 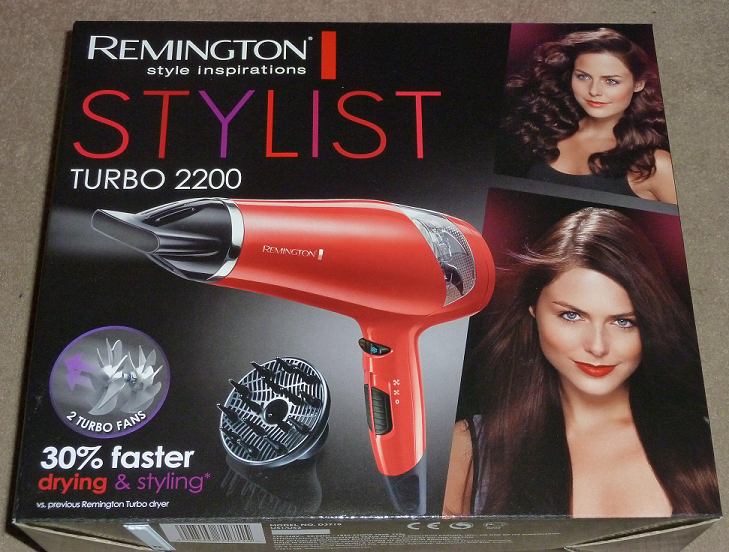 I was due a new hairdryer as my current one sounded like it was on its way out. It's never a good feeling holding an electrical item next to your head when it's making a funny sound! This one looks great and it promises faster drying. It's on offer for £23.32 in Boots which is a really good price if you're looking to buy a new hairdryer with your Christmas money. I mentioned this Elemis set on my blog at the beginning of December as it was a "Today's Special Value" item on QVC UK. It's such a great value set that is still on the website for less than £50 despite being worth well over £100! 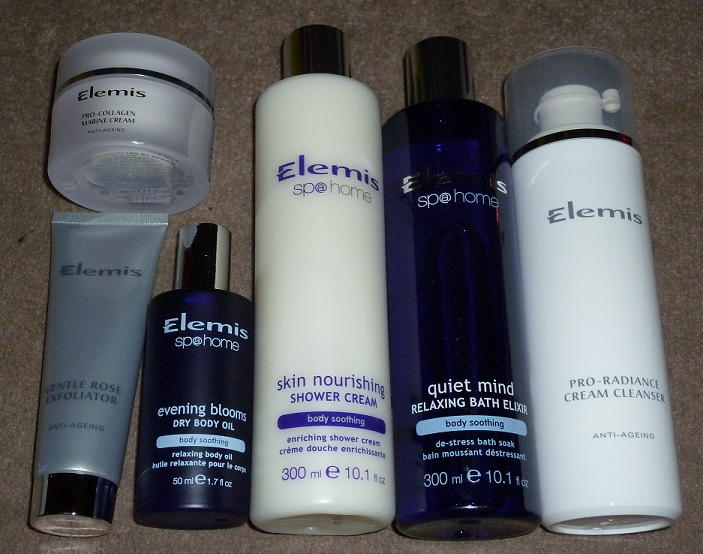 I love Elemis products so it was an offer I couldn't refuse. I love the cleanser which is almost £30 on it's own so I'm looking forward to using this again as well as all of the other gorgeous products. The Origins Make a Difference Plus Rejuvenating Treatment has appeared on quite a few blogs lately and I've been really tempted to buy it but I held off. I was so glad I did as a few days before Christmas I spotted this set on the Selfridges website and it was only £45. It includes the full size treatment plus a full size serum along with smaller sizes of moisturiser, lotion and cleansing milk. I used some of the budget from my fiance to buy it and it was expected to arrive on 31st December but it actually arrived on Christmas Eve so I could have it in time for Christmas Day! Massive thumbs up to Selfridges for their super quick delivery. 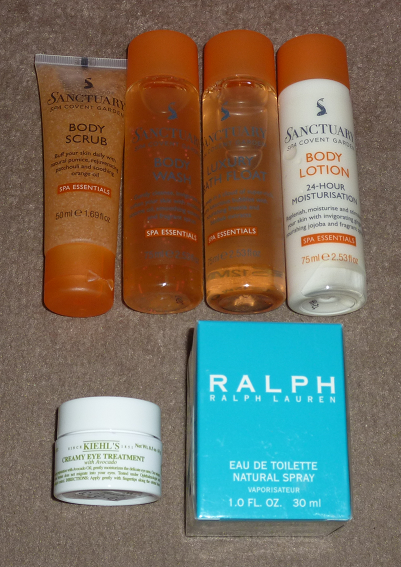 Among my other gifts were some mini Sanctuary goodies which I always enjoy using. I love the scent of these products! I have the hand wash and I'm always wondering what the nice smell is around me after I've used it! I have been wanting to try Kiehl's products for a while now, their Creamy Eye Treatment with Avocado in particular so I was super pleased to finally own this. I can't wait to try it and I hope I love it! I have a few eye creams sitting unloved in my stash so I don't want another one in there! My last item is the Ralph by Ralph Lauren perfume. I've always quite fancied this perfume every time I've sniffed it but for some reason I'd never actually bought it so I decided to ask for this for Christmas as I wanted something different to what I have already. Hope you've enjoyed looking through what I got for Christmas. I would love to see what everyone else got for Christmas so please leave your links below if you have blogged about it. Lovely gifts! So jelly of the Origins, what great value. I hope you had a lovely Christmas! Hope you had a lovely day, looks like you got some really nice presents. 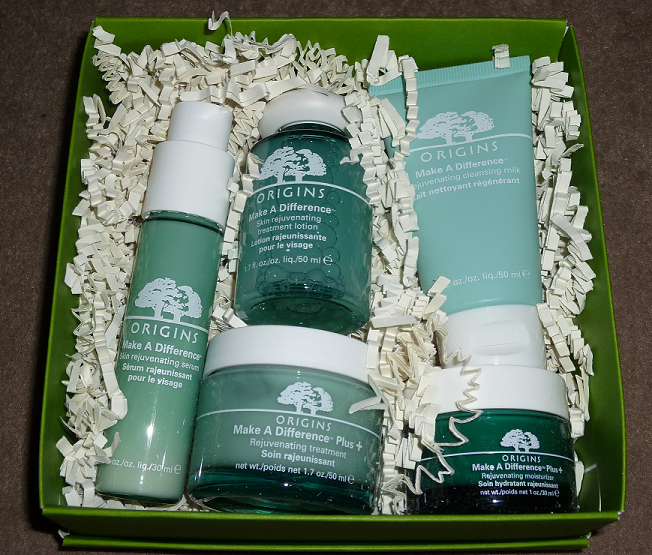 I got the Origins gift set as well but it was the slightly different version, I'm absolutely in love with the smell f the cleanser and toner, so fruity! Yum. The Origins set looks gorgeous, I've been meaning to try some for a while now. A really decent price too for what you get in it!